Which ski wax iron should I use? What is a ski wax kit without an iron? The ski wax iron is a tool you heat up to a high temperature and then melt the wax and spread it all over your ski or board. When purchasing a ski wax iron you want to look at which temperature ranges it has, how steady the temperature is and how thin the base plate is. 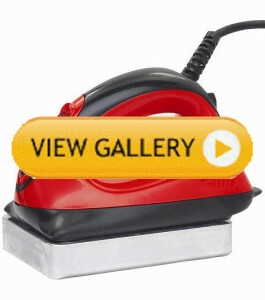 Are you looking for the most affordable iron available then you should go for the reasonably priced Swix Iron T75 Tune. The simple designed ski wax iron takes about 10 minutes to heat up and then it is ready to melt the ski wax on your skis or boards. With a 3/8″ base plate, you will be able to have an adjustable temperature dial though you won’t be able to set specific temperatures, and the temperatures won’t be quite stable. 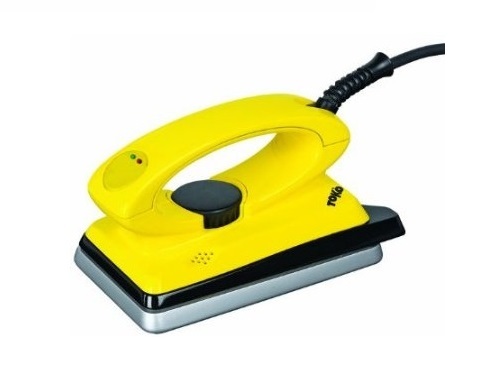 The iron does its jobs and if you are on a low budget then this ski wax iron of your choice. Toko T8 Iron 800W is a ski wax iron with quality and performance like a high-class iron, but with mid-class pricing. This iron has a melt regulated temperature of 100°C to 160°C (210°F to 320°F) which you can easily set to your desired temperature. With an 800-Watt performance you won’t face any problem melting down ski wax. Unless you are a professional ski wax technical for professional skiers, or got a really high budget, this ski wax iron is the best in all criteria. As you can see in the purchase link picture to the left, it is also happens to be very ergonomic friendly, which is great if you are going to wax multiple skis or boards for a long period of time. 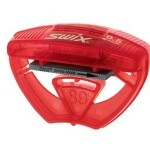 If you work as a ski wax technical and are looking for the absolute top of the line ski wax iron I am yet to present the Swix’s World Digital Iron T71110. The famous brand has over 70 year experience on ski wax and develops all kind of products for a perfect ski wax kit. This iron has a super thick 25 millimeter thin base plate. With 1000 watt and a 110 volt plug, it provides digital LED buttons settings as well as an extremely quick heat-up time and holds stable temperature of 80°C to 180°C (176°F to 356 °F). With this iron nothing can go wrong. Note that there are also a lot of other ski wax tools you should use for as complements to the ski wax iron to obtain a higher speed. To summarize, if you are on a low budget, go for Swix Iron T75 Tune. If not, then I would in 95% of the cases recommend you to go for Toko T8 Iron. It is a ski wax iron in medium price class, which beats all its concurrent and even a few high priced irons. Are you looking for the absolute top of the line go for Swix’s World Digital Iron T71110; there is for sure no better iron on the market. When using an iron, be sure to be outside and do it carefully so you don’t burn yourself. After successfully waxing, let the ski wax iron cool down before you put it back to wherever you keep it.